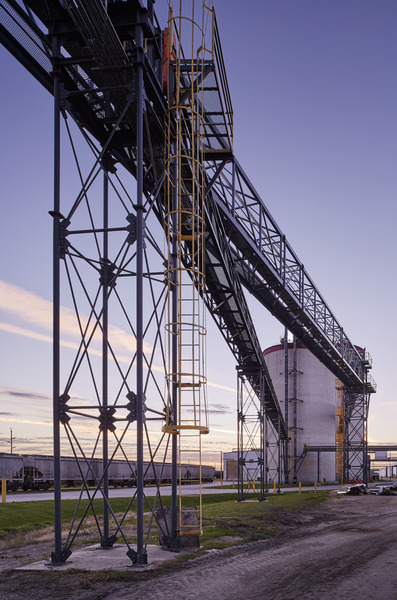 Changing EPA regulations prompted Heartland Corn Products to pursue a supplemental on-site natural gas power option to reduce its CO2 emissions through co-generation. 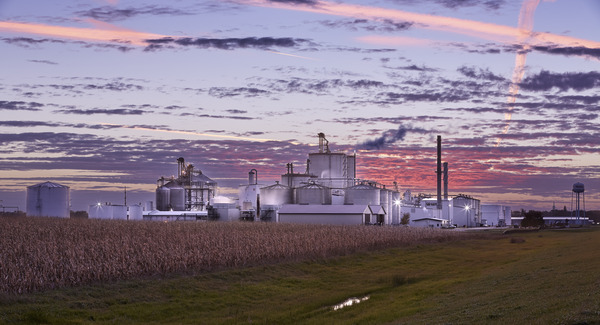 In order to comply with the EPA’s new Renewable Fuel Standard (RFS2) regulations, Heartland Corn Products required a reduction in CO2 emissions to sell ethanol with Renewable Identification Numbers (RINs). 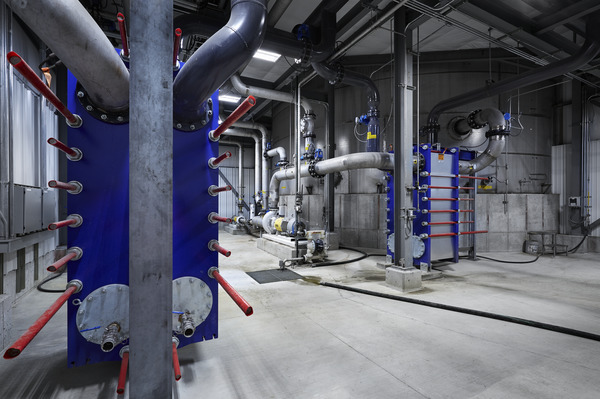 Pump and thermal efficiency improvements throughout the plant helped move the plant in the right direction, but it was still on the threshold required by the EPA. 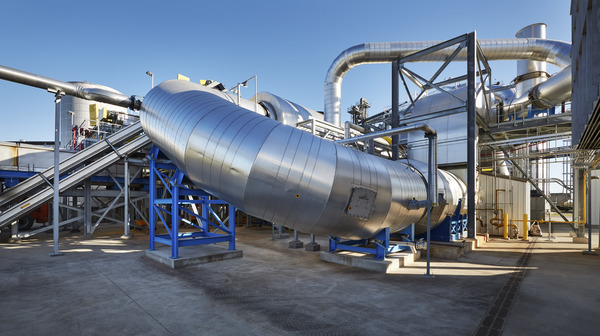 Because the CO2 footprint of a plant is based on both on-site combustion of natural gas and off-site generation of electricity, combining those functions was a surefire way to reduce the emissions through co-generation. 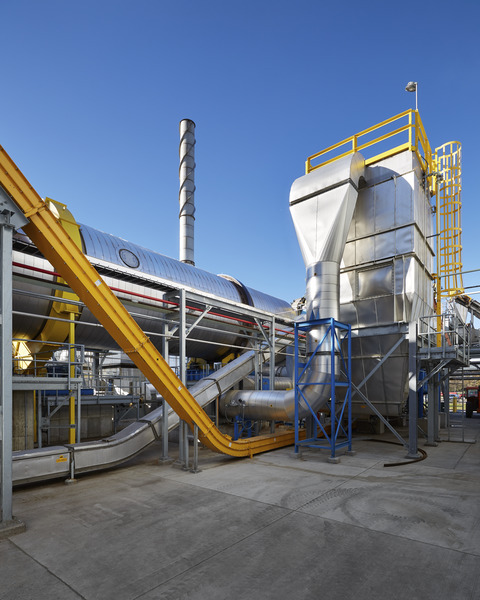 Waste heat inherent to the off-site electrical production could be avoided by generating the power on-site, and offsetting existing steam production by capturing the waste heat. 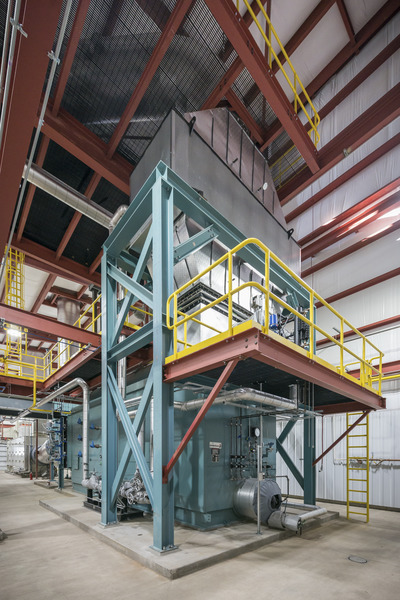 Through the use of supplemental fired duct burners, the system efficiency vastly improved, dramatically increasing the amount of natural gas fuel combusted. 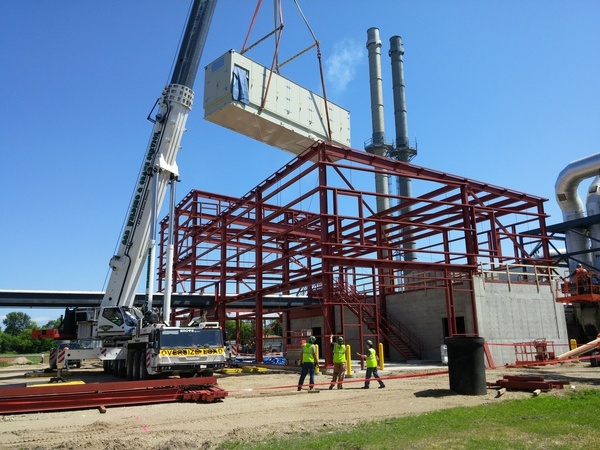 A single turbine covering about half of the power to the plant was installed, with provisions for two additional larger turbines to meet future capacity requirements. 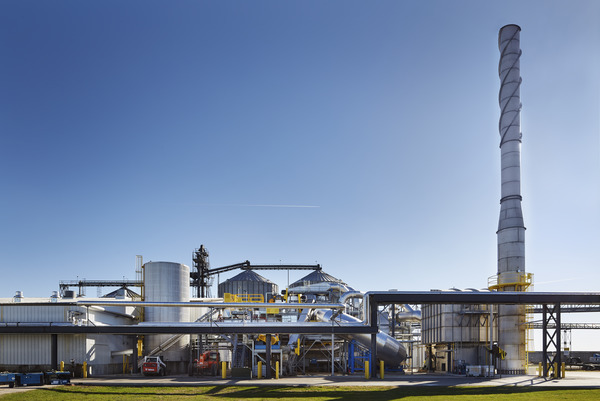 With three turbines installed, the plant can disconnect from the grid entirely, bring a turbine down for maintenance if necessary, and still run the ethanol plant at full capacity. 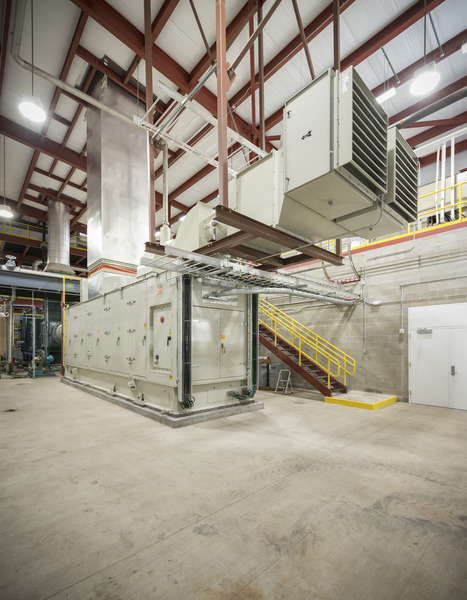 Improved system efficiency is approaching 90% of the natural gas fuel combustive. 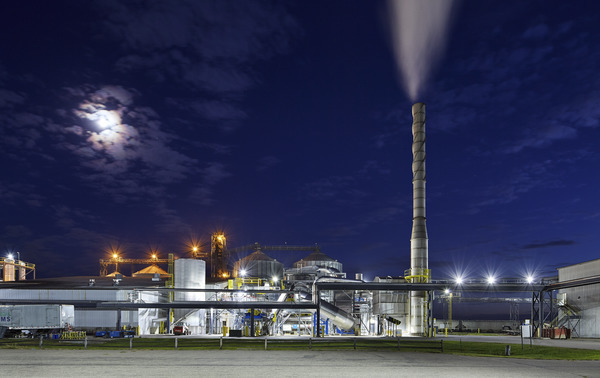 The plant is also expecting a 12.6% reduction in its carbon footprint, driven by the switch from primarily coal-based electricity, to half its power now generated onsite with natural gas. 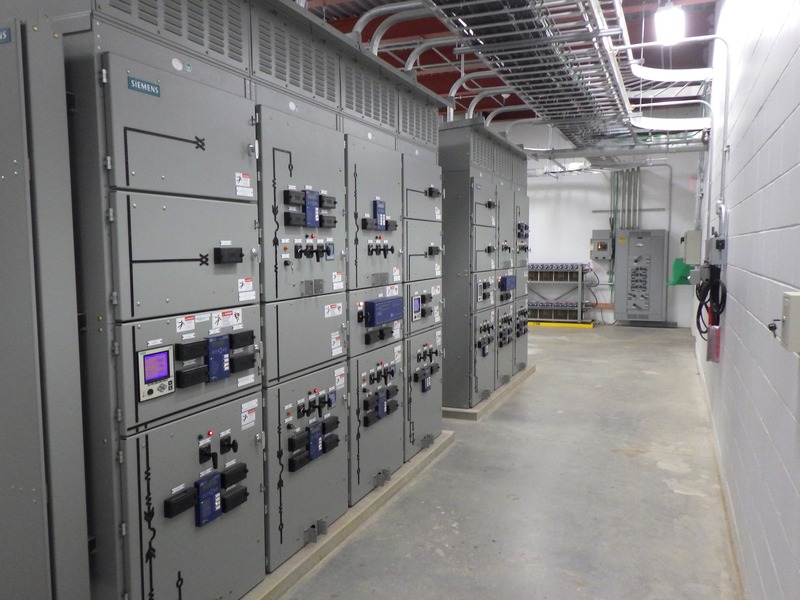 This co-generation strategy enables the plant to continue to operate should it lose electrical power.